If you make a mistake at any point you can always undo the last action by pressing Ctrl-Z. In the Tag Window select a suitable destination folder. Right click and select Add new tag, followed by Core, followed by Graphic. 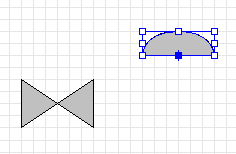 Enter a suitable name, for example: Valve Symbol. Press return to complete the rename of the tag from its default name to your chosen name. 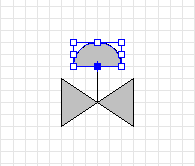 Double click the selected tag to open the Graphic Editor. 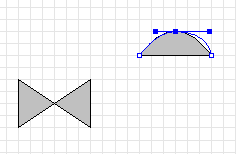 Select the Add Horizontal Triangle Tool . 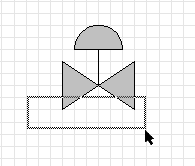 Move the cursor to approximately the position X:80 and Y:50. Note: The grid is turned on by default and will round your movements to a multiple of 5 grid units. 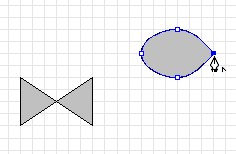 Note: The Current Action Indicator displays the size of the shape as you draw it. 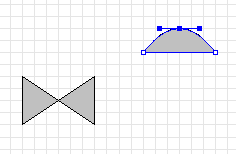 Use the indicator as you draw to accurately set the size of the triangle. Move the cursor to approximately the position X:80 and Y:80. 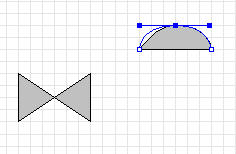 Note: Dragging to the right creates a triangle facing in the opposite direction to the first triangle. 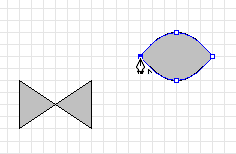 Select the Add Ellipse Tool . Click the Save button to save your work. Select the Canvas Properties Tool . Select the GlobalBindings property and then click on the button to open the Global Bindings Editor. 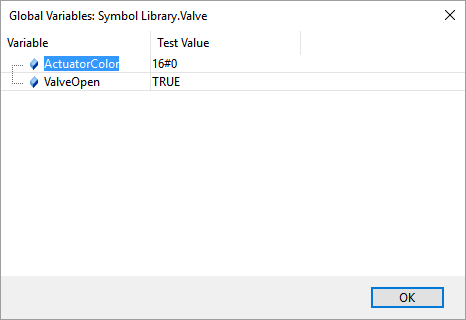 Note: The [ColorValue] attribute in the comment tells the data binder this variable represents a color value. If a string value is written to ActuatorColor, the data binder will interpret the string value as a color name. This allows you to bind a named color value, for example 'Red'. Click OK to close the Global Bindings Editor. Press Ctrl+Shift+A to make sure nothing is selected. In the Properties Window select the DataBindFillVisible property and click the Browse button to open the Data Bindings Editor. Click OK to close the Data Bindings Editor. In the Properties Window select the DataBindFillColor property and click the Browse button to open the Data Binding Editor. Click OK to close the Data Binding Editor. Select the Run Tool . Click on the ValveOpen value FALSE to toggle it to TRUE. Check the valve now shows open. Click on the ValveOpen value TRUE to toggle it to FALSE. Check the valve now shows closed. 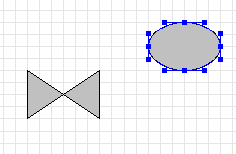 For a list of all Graphic Editor tutorials.